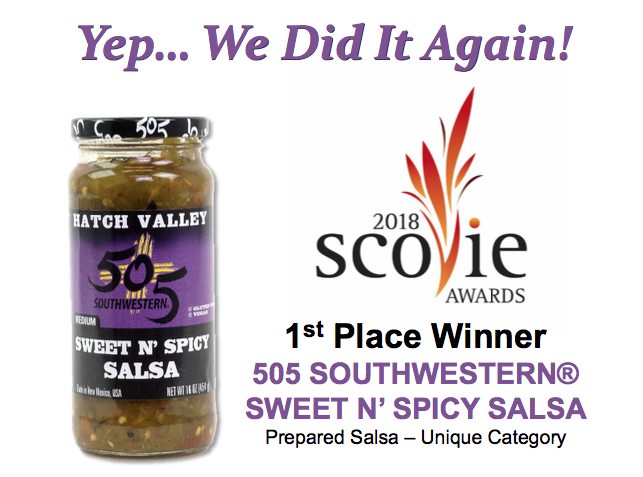 The 2018 Scovie Awards judging panel of top culinary experts honored 505 Southwestern with a 1st place award in the Prepared Salsa – Unique Category for their 505 SOUTHWESTERN® SWEET N’ SPICY SALSA. This is 505 Southwestern’s 14th Scovie award since 2006. Last year, 505 Southwestern won the same award with their 505 SOUTHWESTERN® THREE CHILE SALSA. 505 Southwestern is part of Flagship Food Group is located at 1700 Desert Surf Circle NE Albuquerque, NM 87107 and products can be purchased online at www.505southwestern.com. 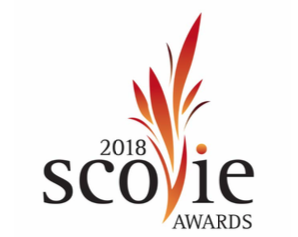 The Scovie Awards were created by Dave DeWitt, founder and co-publisher of Fiery-Foods & BBQ Magazine and founder of the National Fiery Foods & Barbecue Show. The awards are named for Wilbur Scoville who pioneered a rating scale for spicy foods and have become the industry standard for excellence in more than 60 categories of fiery foods and BBQ.